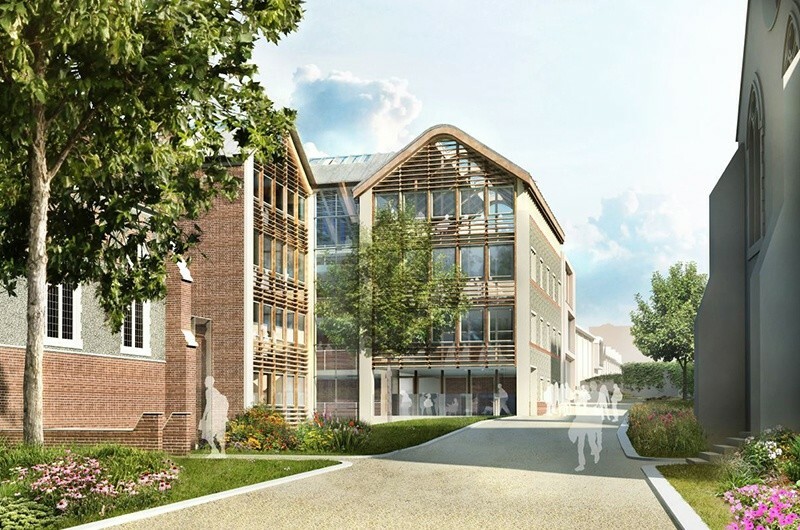 Hopkins have been appointed to design the new Academic Building at Brighton College's campus in Kemptown, following a limited international competition. Located near the historic Front Quadrangle next to several Grade II-listed buildings (including the adjacent Great Hall), the Academic Building will be distinct and of a high-quality and will replace several outdated structures on the site. The building's scale and massing respects the historic context of the highly constricted campus and it will be five storeys high, of which 1 to 1.5 storeys will be partially hidden below ground. It will be constructed with red brick to ensure visual continuity with the surrounding environment, and will feature timber louvres over the fully-glazed areas at the gable ends that look onto the school. It will include 22 classrooms for various academic departments, an experimental classroom, offices, a locker room and breakout spaces for students and staff.